There is so much fun to be had in October, and Trick-or-Treating is just the beginning – You can’t forget the loads of fun to be had at a Halloween Party or Fall Festival! 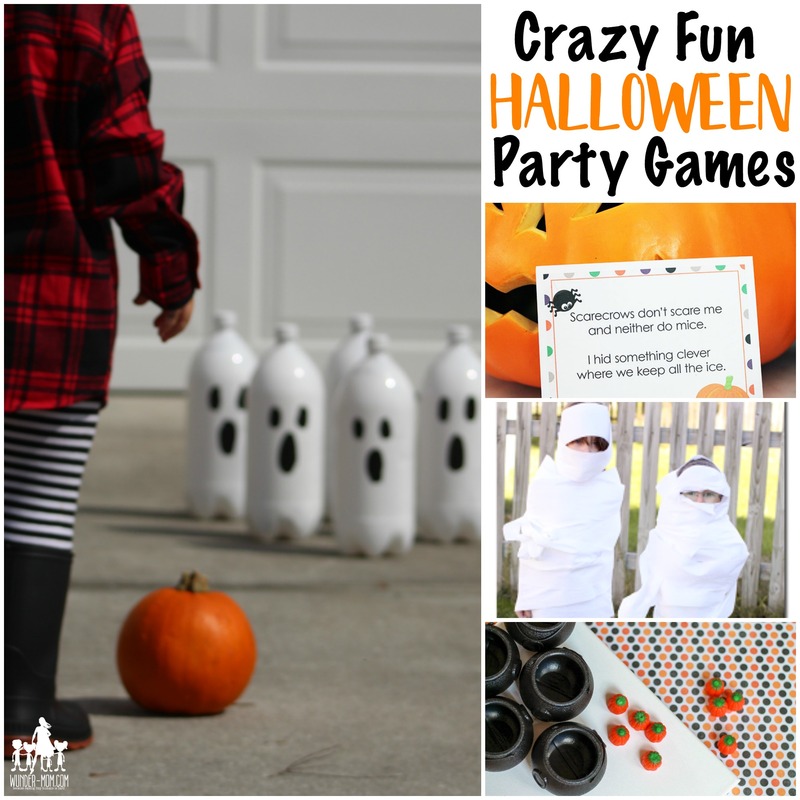 Whether you’re throwing a kids Halloween party at home, school, or youth group – you will definitely need some awesome Halloween Party Games (right after you plan out your Halloween Treats and Food of course)! Looking for more Halloween Ideas? Check out this list of Easy Halloween Crafts. Get the neighborhood kids together and go on a Halloween Scavenger Hunt with Printable Clues. Test your aim with a Spider Frisbee Toss or Pumpkin Toss. Have a blast with backyard bowling in this ghost and pumpkin bowling game. Or try this version of pumpkin bowling for the little ones….no ghosts needed. Who doesn’t love some good old fashioned party games like pin the “spider” on the web, bobbing for apples, or donuts on a string?! You’ll need to stock up on the toilet paper for this one…it’s wrap the mummy! I hear Spider Races are all the rage now, and these spiders need your hot air to make them go. A poke the pumpkin game is great for giving out fun prizes. Play an educational count the ghosts game at your Preschool halloween party. I love the idea of getting together for a pumpkin decorating party too – no games needed, just get your friends together to carve or decorate a pumpkin. This list of fun ways to decorate pumpkins without carving has some really cool ideas.